LISLE, ILLINOIS (June 18, 2014) – Every month Midwest Real Estate Data (MRED), the Chicagoland multiple listing service (MLS), reviews how many people are accessing their property database. Early on, MRED realized how prolific the use of mobile devices was among both Realtors® and consumers. With that in mind, MRED today rolled out phase one of its project to deliver MLS data and services in a more mobile friendly manner. The result being that Consumer Web Pages, the method through which Realtors® collaborate with their clients via the MLS system, can now be delivered in a format utilizing responsive web design (RWD) – a method that creates dynamic changes to the appearance of a website, depending on the screen size and orientation of the device being used to view it. MRED research revealed that of those consumers receiving property listings from their broker, nearly 50% use a mobile device with which to view them. In April alone, close to one million accesses to Consumer Portals were made via iPhones. These numbers are staggering, and will only increase as the mobile web overtakes desktop and laptop computers. MRED, in partnership with dynaConnections, Inc., creators of connectMLS™, MRED’s core MLS system, has committed to making connectMLS more “mobile friendly”. With the responsive web design approach MRED will deliver a user experience that provides an optimal viewing experience on all devices. The result is that it will be easier to read and navigate, with a minimum of resizing, panning and scrolling. 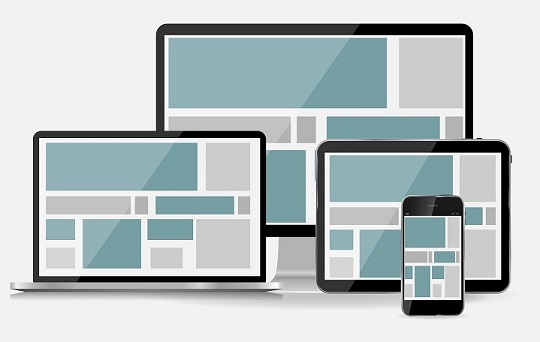 Migrating to responsive design is a massive undertaking. The plan is for MRED and dynaConnections to transition in stages – prioritizing those system features that get the most use allowing for the introduction of useful modifications to the MLS system over time, rather than waiting for the completion of an entire overhaul. dynaConnections Corporation is an Austin-based company that is renowned for its constant innovation and dedication to service. dynaConnections provides an MLS solution, connectMLS™, that is second to none with its millisecond response time and ease of access via all browser platforms. connectMLS™ is created to be both powerful and easy to use, and exceeds all standards of what the real estate industry expects from their MLS provider. For more information, visit dynaconnections.com.